The Holy Fire Ministries Bishop Dominic Nyondo who was arrested by police in Kitwe for allegedly sexually abusing nine young girls from his church has committed suicide. Copperbelt Police Chief Joyce Kasosa has confirmed the development saying Bishop Nyondo is believed to have thrown himself in the Kafue River in the early of today. Bishop Nyondo, 47, of House number 853 Kapoto township in Kitwe died when he drowned in the Kafue River and left a note written in Bemba claiming that he was innocent of all the allegations. In the note, Bishop Nyondo wrote that he was sorry to the lawyer but knew that there was no truth about all the accusations. He wrote that it was just divisions in the church which led to him being accused of having canal knowledge of the young girls. He wrote that the girls were asked to make false allegations to tarnish his name when his fellow Pastors wanted to be leaders in the church but he denied them the chance which led to the formation of breakaway church. He accused a named Pastor who has established a breakaway church where all his members have gone to of being behind the false accusations. Bishop Nyondo complained that he has embarrassed the whole nation and there was no need for him to continue living. Bishop Nyondo said in his suicide note that he is dying for a good reason and quoted Matthew Chapter 7 vs 1 – 2. He has since thanked all those who supported him during his cases in court. 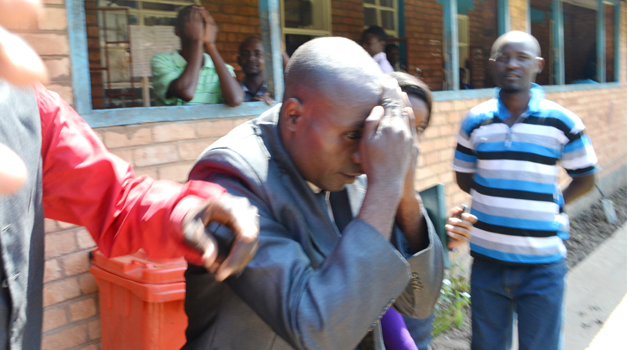 Bishop Nyondo appeared in court for trial last week on Monday where 3 witnesses testified and was expected to re – appear in court on Monday next week for continued trial.